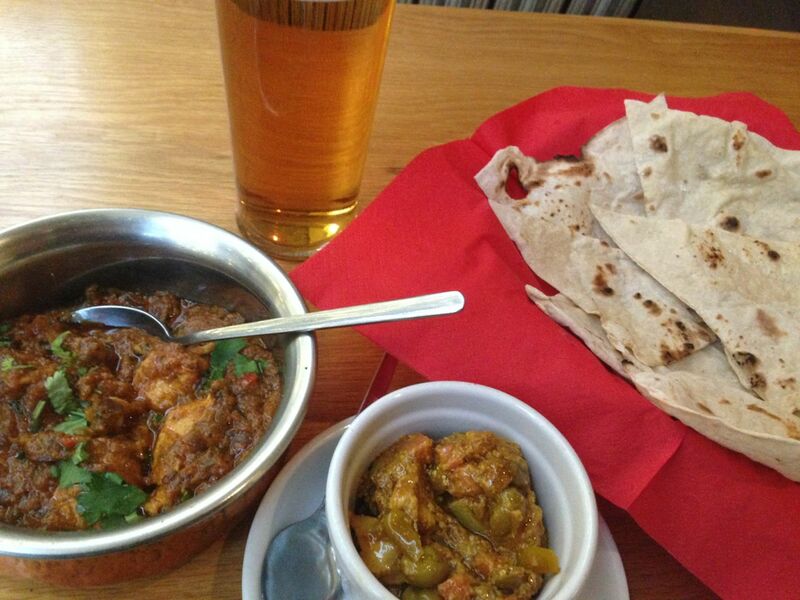 Lunchtime curries are always a bit of a treat and it certainly is a treat at Charcoals. This smallish curry house doesn’t look much from the outside but the food is cracking. It’s also just around the corner from The Horseshoe, one of Glasgow’s best known pubs, so you can have a nice post-curry pint if you plump for an early executive lunch. At just £6.95 it’s particularly good value, although once you’ve added a during-curry pint (£3.60 for draught Tennent’s), some pickle (95p) and a tip it’ll be double that. The food is exceptional and the Chicken Desi Karahi one of the best curries I’ve ever had. The first mouthful simply exploded in flavours. The sauce was sweetish, but spicy, and full of onion, peppers and juicy bits of meat. I had it with two chappatis but you can also chooose boiled rice or a naan if you prefer. The deal also comes with a starter (you can choose from a small range) and the Chana Poori was nearly up there with the main in the flavour stakes. Super tastes all wrapped up in puffy, flaky bread. There’s a small hatch near the door, which the chefs use to let out the heat, and as I was the table nearest this it was fascinating to watch them at work. I’d love to show you a pic of these great chefs but unfortunately I was told that taking a pic is “against the law, against company policy” by the slightly grumpy waiter. The hatch door was promptly shut and steamed up. Mmm. Instead I will show you a pic of the fine lunch this unassuming but quality little place dished up. If you don’t hear from me again it’s because the curry police have taken my camera and I’m hiding in the oven. Charcoals, 26a Renfield Street, Glasgow, Scotland, G2 1LU. Tel 0141 258 6482. Open: noon–late.